PC Repair & Apple Repair Computer Services - 5 Stars Rated! The computer is your home's command central. Whether you're looking to set your new computer up, secure or repair your machine, remove a virus off your computer, we've got the know-how tools and dedication to get the job done. TechHub Direct offers PC repair all versions of Microsoft Windows. In addition, we also service Apple OSX computers. Our local computer doctors know PC's and MACs inside out. They can come to your home or business to cure any problems that you might be having with your computer. Microsoft Windows computers are infamous for getting what is called, "The BLUE SCREEN OF DEATH," but never fear, our experience Techs can get that fixed for you too!For any issue that you may be experiencing, simply use our contact form to get in touch with us and we will give you an evaluation on the cost of repair. You can also call us here at TechHub Direct at 619-870-9000. Any brand, any type, any size, we can fix it. TechHub Direct works on all hardware or software related issues to service your PC Repair and MAC computers. MACS are powerful and unique machines. However, they can be difficult to repair and operate on. Regardless of the age or you apple computer, we fix them all. 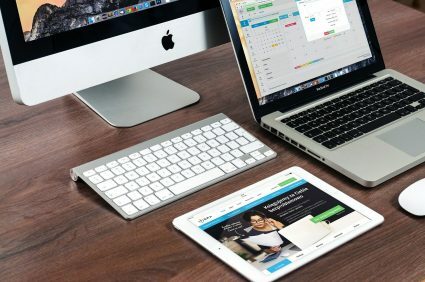 Therefore, let the pros at TechHub Direct take care of all your Apple computer repair services whether it is an iMac or Macbook! Our Certified Technician is awaiting your call (619) 870-9000.